The History Center is an educational institution that engages and inspires large and diverse audiences through programs that enable links to the past, understanding in the present, and guidance for the future by preserving regional history and presenting the American experience with a Western Pennsylvania connection. This work is accomplished in partnership with others through archaeology, archives, artifact collections, broadcast and electronic media, civic engagement, conservation, educational programs, exhibitions, events, library, museums, public outreach, performance, preservation, publications, products, research, technical assistance, and virtual programs. Devoted to the history and heritage of Western Pennsylvania, the History Center (legal name – the Historical Society of Western Pennsylvania) is Pennsylvania’s largest history museum and a proud affiliate of the Smithsonian Institution. 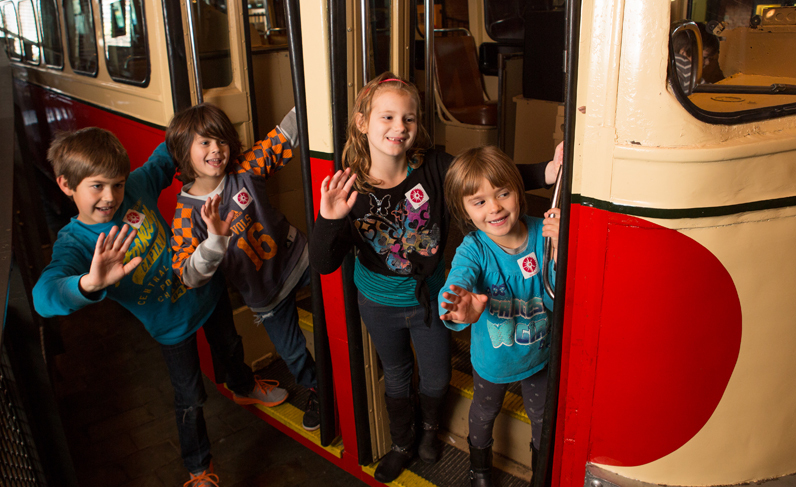 The Senator John Heinz History Center family of museums and programs includes the Heinz History Center, Western Pennsylvania Sports Museum, Fort Pitt Museum, Meadowcroft Rockshelter and Historic Village, Detre Library & Archives, and the new Museum Conservation Center. The 370,000 square-foot museum presents compelling stories from American history with a Western Pennsylvania connection in an interactive environment perfect for visitors of all ages. Since 2000, the History Center has been a proud affiliate of the Smithsonian Institution. As part of this long-term partnership, the History Center and Smithsonian collaborate on a wide variety of projects, including museum exhibitions, public programs, educational opportunities, and publications. When you become a History Center member, you also become a member of the Smithsonian Institution and receive a variety of benefits. In 2009, the American Alliance of Museums recognized the History Center as an accredited museum. The History Center is one of less than 800 museums around the country to receive this prestigious designation. The Senator John Heinz History Center is located in Pittsburgh’s historic Strip District, home to a wide variety of restaurants and shops. The museum’s Smallman Street home combines the former Chautauqua Lake Ice Company building with a five-story Smithsonian wing. The Western Pennsylvania Sports Museum, a museum-within-a-museum located on the History Center’s second and third floors, celebrates Western Pennsylvania’s unsurpassed sports legacy. From football to baseball and hockey to golf, the Sports Museum highlights the region’s passion for amateur and professional sports. The Fort Pitt Museum, located in historic Point State Park in downtown Pittsburgh, is a two-floor, 12,000-square-foot museum that presents the story of Western Pennsylvania’s essential role during the French & Indian War, the American Revolution, and as the birthplace of Pittsburgh. Meadowcroft Rockshelter and Historic Village, the oldest site of human habitation in North America, is located in Avella, Washington County, Pa. Meadowcroft Rockshelter, a National Historic Landmark, features 19,000-year-old evidence of the region’s earliest inhabitants under a massive rock overhang. In addition to the Rockshelter, the site is also home to three outdoor historic areas, including a 16th century Indian village, 18th century Frontier Trading Post, and 19th century village that help visitors experience life over the past 500 years. More than 250 years of our region’s history can be found at the Thomas and Katherine Detre Library & Archives. Founded in 1879, the Library & Archives’ collections, located on the History Center’s sixth floor, are accessible to researchers, students, and the general public. The Museum Conservation Center provides patrons with access to the same quality assessment and conservation treatments as museums provide for their own collections.